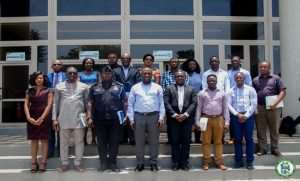 In the wake of the increasing spate of road accidents in the country, the Accra Metropolitan Assembly (AMA) has inaugurated a Road Safety Council. They will oversee the implementation of the Accra Road Safety Strategy 2018-2030 to improve safety and protect lives. Members of the council include representatives from the Ministry of Transport, the National Road Safety Commission, Driver and Vehicular Licensing Authority, DVLA, the Ghana Police Service, the Ghana Health Service and others. The Mayor of Accra, Mohammed Nii Adjei Sowah, in a Citi News interview said, despite recording some successes in reducing road crashes, a lot more needs to be done. He said the Council would coordinate, ideas, resources and actions from all stakeholders to address road safety in the city adding that the establishment of the Council was occasioned on the principle to establish road safety partnership between the city and other stakeholders to ensure good governance and ownership of road safety. “To achieve our road safety goals in Accra, we must establish and nourish a road safety partnership between city and national administrations. This required a governance system which brings the AMA, responsible national agencies, and other key partners together to: strategize and agree on the approach and critical interventions that will be delivered, plan to undertake specified times, monitor to ensure that each partner is committed to the cause as they deliver on action plans and evaluate the program and it’s progress to improve our efforts,” he said. He pointed out that provisional data from the Motor and Transport and Traffic Division (MTTD) of the Ghana Police Service revealed that 92 people in Accra died in road accidents in 2017 while 111 deaths were recorded in 2016. The data he said calls for urgent and pragmatic measures to reduce the deaths and injuries on the road indicating that, the AMA with support from the Bloomberg Initiative for Global Road Safety had redesigned the Lapaz intersection to ensure pedestrian safety.